Orpiment stone, with the title of king of stones is treasure of Shoushan stone department. Look at it carefully, you can find its beautiful color with close texture. 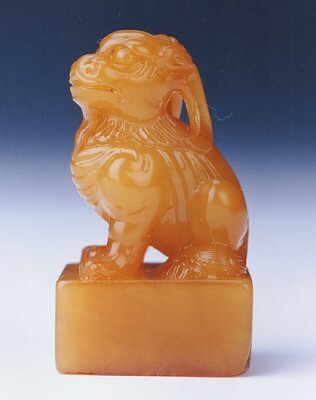 Since the Ming and Qing Dynasty, orpiment stone has been also called "the king of the seal stones". Millions of years later, it is still the excellent collection among the fans, which Chinese often said, "it is easy to get the gold, but it is really difficult for the orpiment".